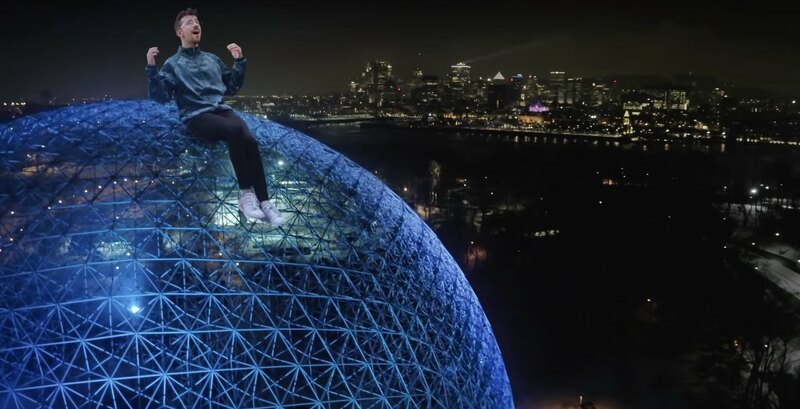 Tourisme Montreal has channeled their inner Tommy Wiseau by releasing a promotional music video about the city that is either painfully corny or masterful trolling. Following the theory that there’s no such thing as bad press, the three-minute cheesy video features a variety of the city’s landmarks: the illuminated Jacques Cartier Bridge, the Biosphere, Notre Dame Basilica, Bell Centre, bagels, Mont-Royal, and Old Montreal with a candle-lit piano, awful photoshop effects and a musical key-change. For those keeping track at home, there’s more footage of the singer “flying” through the Montreal sky than there is a mention of the city’s name. Despite never referencing the location he’s singing about, the ballad’s performer does however, don a toque and fly around the city sprinkling fairy dust, grows to the size of La Grande Roue and casually munches on a bagel atop the Olympic Stadium. 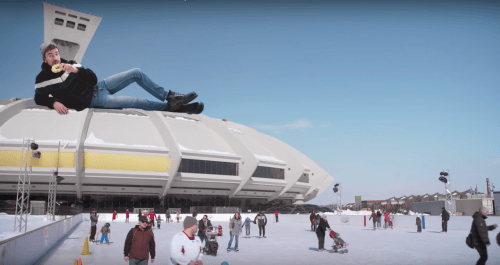 Originally broadcast this past weekend at “La Fureur,” the ad aims to promote more Quebecers to visit the province’s biggest city (whatever its name is). Tourisme Montreal has since uploaded the corny tale titled “Reviens-moi” to YouTube where viewers have been wondering exactly what it was they had just seen. The schmaltzy video is embedded below so you too can bask in the awkwardness, intentional or not, this is so bad it’s good.